If you want to brighten up your home, a skylight is one of the best ways to do it. A skylight allow more sunlight to flow into your home, allowing indoor plants to grow much easier. They will also help you to save money on electricity because you will not need to turn as many lights on during the day. Whatever your reason is for wanting to buy a skylight, you will find no shortage of companies that make them. There are also a large amount of stores that sell them. This can make the selection process very difficult. Here are some useful tips for selecting the right skylight for your home. Ask people you know who have a skylight. If you know anyone in your life who already has a skylight installed in their home, you should talk to them about it. Ask your friends, people you work with, members of your family or even people who live on your street. You should be trying to find out the age of the skylight, where the person purchased it and how much it cost. Was it made with Velux windows, or a different manufacturer? 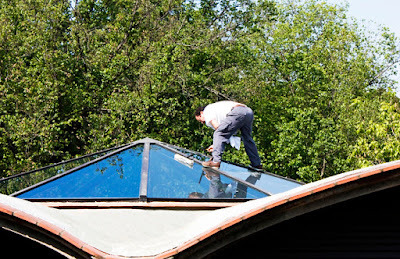 Finally, ask the person if they would recommend that you install the same type of skylight in your home. Visit skylight stores. You should go around your community and visit all of the stores that specialize in skylight installation. Take a look at the displays and see if you like the way they look. Can you picture having one of these skylights in your home for many years to come? If you see one that you like, get some information on the installation costs. Does the store do the installation, or will you need to hire a contractor? Browse the Internet. There are also many places online where you can buy a skylight, so be sure to give these a look before you make your final decision. You might be able to find a great bargain, so it is in your best interest to look in as many places as you can prior to buying the skylight you want. I recently bought an old 70's era home with a dingy skylight. It would be fun to change out the current one with one that can actually show the blue of the sky. Right now it is just a translucent white screen that lets light shine through. I want to see a blue sky.